Take the road less travelled...you might be pleasantly surprised! While most people were tucking into their Sunday lunch, I was heading out of Cape Town on the N2 ….. destination Jongensfontein! Where? …. Yes that was my initial reaction too, when Etienne Swart, owner of Somewhere SOUTH portfolio member and highly successful Four star Elephant Plains Game Lodge in the Sabi Sands reserve, called me just over a year ago, to tell me he was about to purchase a guest house there. 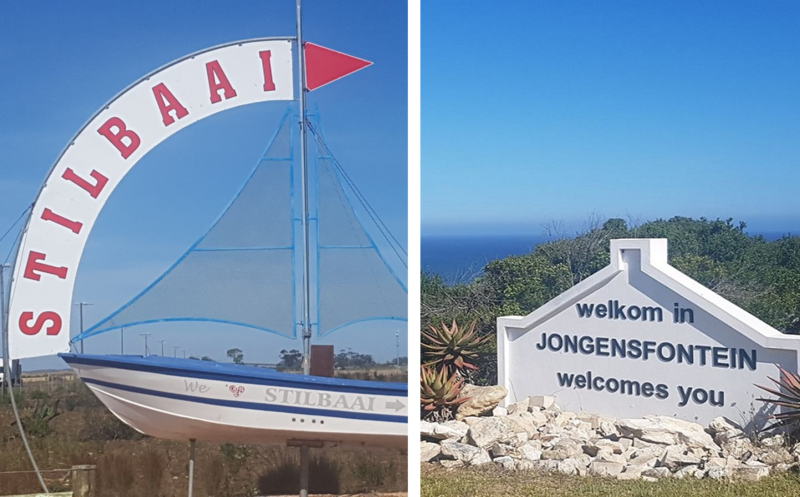 Etienne explained that having spent many happy childhood holidays in Jongensfontein, a relatively unknown, small sea-side hamlet and a mere 10km from Stilbaai, one of the Garden Route’s small town gems, he could not resist the opportunity to be part of the growing tourism in this area. Having built Elephants Plains up from the beginning along with his wife Marlet, they were more than ready, not to mention very much qualified for a new project and knowing the area so well, it just seemed like it was meant to be …. and so, ‘Little Rock Guest House' was re-born! Etienne asked if Somewhere SOUTH can assist them in spreading the good news to the travel industry. As luck would have it, we were about to introduce an extension of our main portfolio – namely “Somewhere SOUTH Secret Escapes”. We had been pondering on this idea for a while as a way to assist the smaller, off the beaten track kind of properties, who really have a specialised target market. Little Rock fitted this profile perfectly and having already enjoyed a long client relationship with Etienne and Marlet, it was an ideal fit. So fast forward a year, that saw them enjoy a pretty good first season followed by some winter renovations and upgrades … it was now time for me to finally experience Little Rock for myself, albeit sadly just one night! The turn off to Stilbaai is an extremely easy, not to mention incredibly scenic 3.5 hour drive from Cape Town and just under an hour before Mossel Bay. Depending on how many Gin Tastings you decide to do en-route, at the famous Inveroche distillery, Little Rock is just another 20 minutes or so further on. One can also choose to fly in rather, as George airport is literally an easy 1.5 hours door to door. Sadly being a Sunday, the Gin tasting was closed …. But having sampled the goods elsewhere, I can highly recommend a pit stop if you can! As you enter the outskirts of Stilbaai, known as the ‘Bay of Sleeping beauty’ …. The fresh sea air is suddenly very potent and one can immediately see how the town is divided very neatly into both sides of the main estuary, connected by a long bridge in the middle. Indeed, taking a right turn over this bridge, I followed the winding road towards Jongensfontein, swerving momentarily to avoid a jay walking tortoise. After a few minutes the rugged, rocky coastline is in sight from the top of the hill and slowly I make my descent. The narrow coastal road is all that exists between the occasional house and the dramatic thundering waves …. 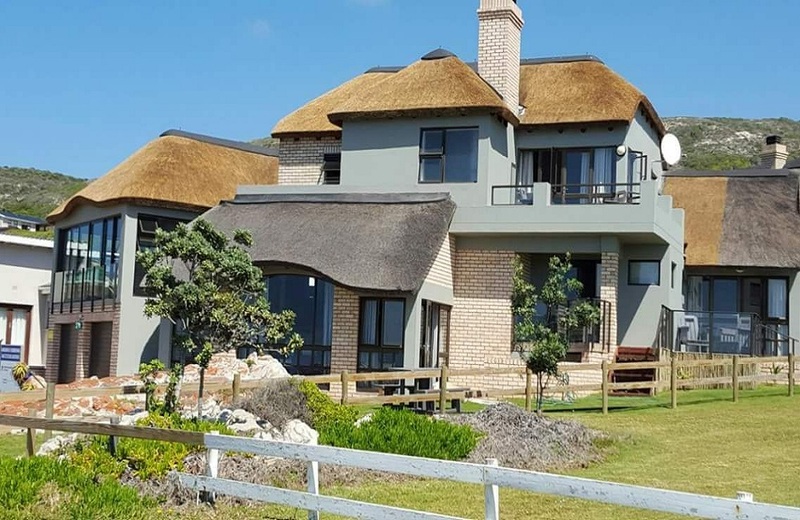 Little Rock guest house appears on the right – first impressions are that of an extremely welcoming retreat, complete with impressive thatched roof - a kind of ‘bush meets beach’ feel and very much an attractive landmark on this stretch of breath-taking coastline. Within minutes, I received a warm greeting from Elize, the guest house assistant and I wasted no time in asking for a guided tour of the guest house. Time is short and know I have a lot to fit in! Each of the seven spacious rooms although sharing a common oceanic theme, have kept their own identity in terms of interior design and instead of room numbers are all named after fish! 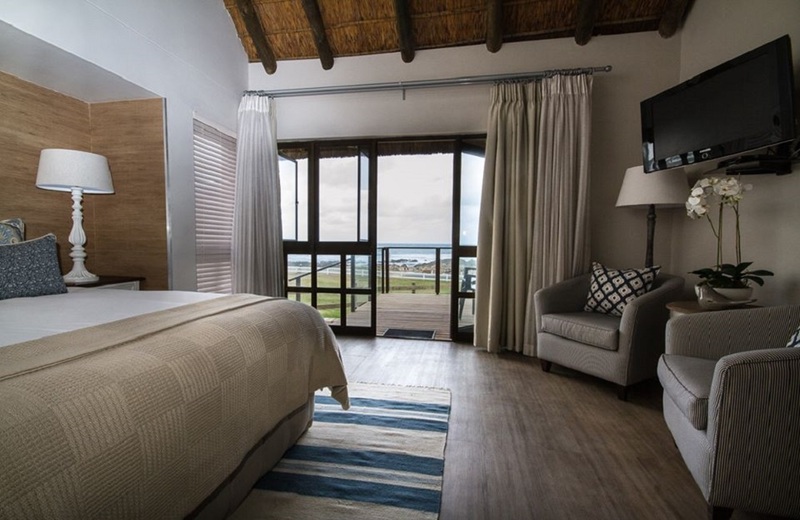 Best of all, every single room has a private sea-facing balcony where one never tires of watching the huge breakers crash into the rocky shore and the endless sunsets that seem to just melt into the ocean. The attention to detail is extremely apparent … there is a tea and coffee tray, with a jug of fresh milk in a decent sized fridge, as well as hair dryer and a very detailed service directory, highlighting pretty much everything you can think of. 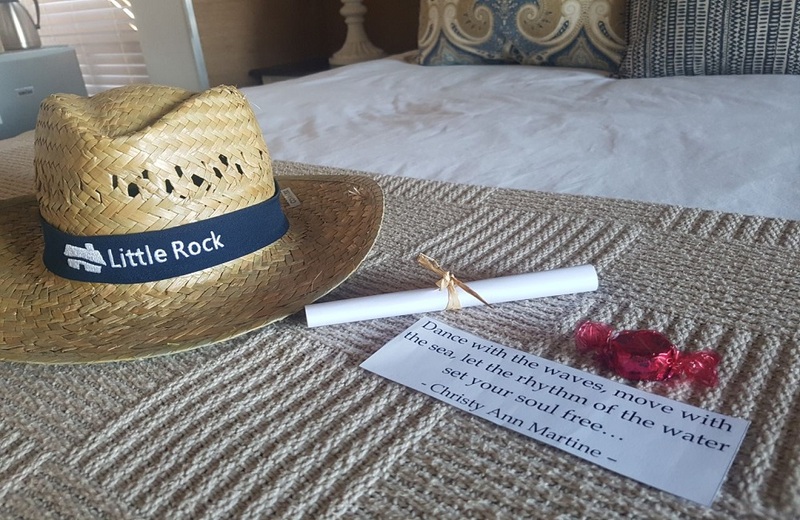 A personalised note along with a beautiful inspirational quote … and a naughty chocolate lay on the bed as if to welcome me all over again! Children are also welcome with two of the rooms including a large sleeper couch. My bathroom was spacious and well laid out, with a large separate walk-in shower, and a substantial bath, all accompanied by a generous choice of luxurious toiletries and extra-large fluffy white towels. As much as I was tempted to treat myself to a relaxing soak with bubbles after my drive ….. I reminded myself that the Cape is currently in crisis, drought wise. My power shower still hit the spot though and felt re-energised, not to mention slightly hungry and ready to explore the local area. Little Rock’s rates include a full breakfast – however they do not currently offer lunch or dinner options. Having recognised though that there is a gap in the market locally, they do intend to offer more choices in the near future. In the meantime, with both indoor and outdoor braai facilities– they can easily arrange braai packs with salads etc. A braai is no fun on your own though, so I decided to rather check further afield! A short drive back into Stilbaai and one can find several options dining wise to suit most people’s tastes and pockets. To save you time though, there is a full list of these restaurants in the room directory. It was Sunday night, so I took the easy way out and grabbed a takeaway pizza, which I enjoyed immensely watching the sun go down, on the bench right in front of the guest house. To be honest … it was just what the doctor ordered at the end of a busy day. It made me realise that this was in fact what Little Rock Guesthouse and life in Jonegensfontein was really all about …. A chance to get away from the hustle and bustle and everyday stresses, One must live dangerously once in a while … take that road less travelled … embrace nature , meet the locals and discover new expereinces. You might be pleasantly surprised ! As I head to my next Garden Route stop off the next morning, following a very delicious and wholesome breakfast, I realised that Jongensfontein is the kind of place where if you want it …. 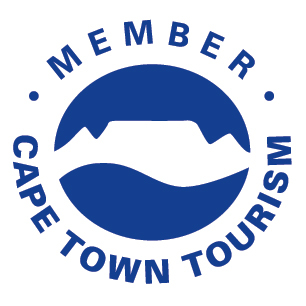 there is plenty of fun things to do - hiking, fishing, beautiful beaches, wine and cheese tasting to name just a few .... BUT it is also the perfect place to just do nothing, a relaxing getaway or simply a welcome break just off the main tourist route. The reviews from guests echo these sentiments completely and have been nothing but positive so far! We might not be the BIGGEST marketing company in town... but believe we are definitely the most passionate. It is really is quite simple - we just LOVE what we do and think we may just have the easiest job around! Copyright 2019 Somewhere SOUTH - Hospitality Solutions - All rights reserved.